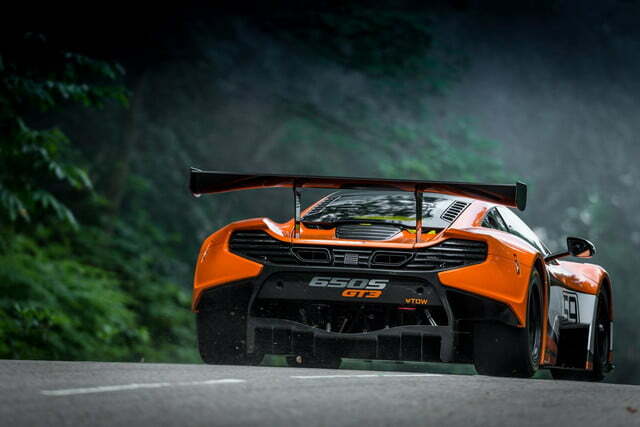 The McLaren 650S has already made most people forget about the MP4-12C it replaced, but there’s still one gap in the lineup that needs to be filled. 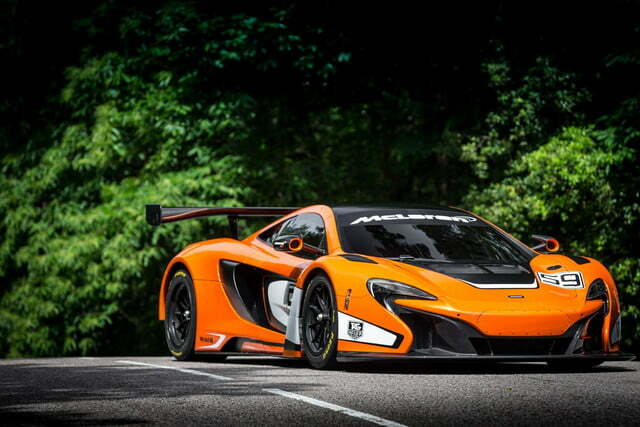 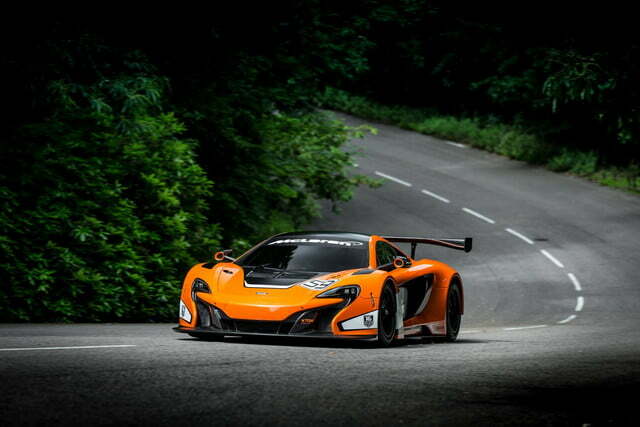 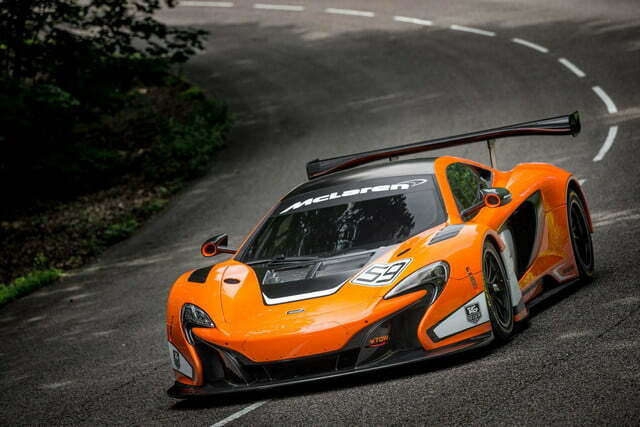 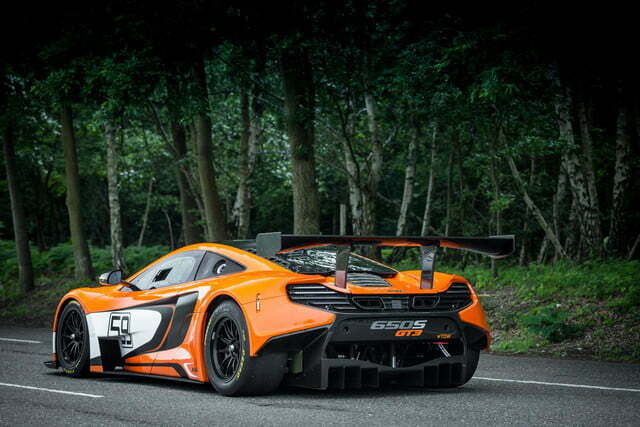 Alongside the MSO 650S, McLaren will unveil the 650S GT3 race car at the 2014 Goodwood Festival of Speed, which will take over the 12C GT3’s role on the track. 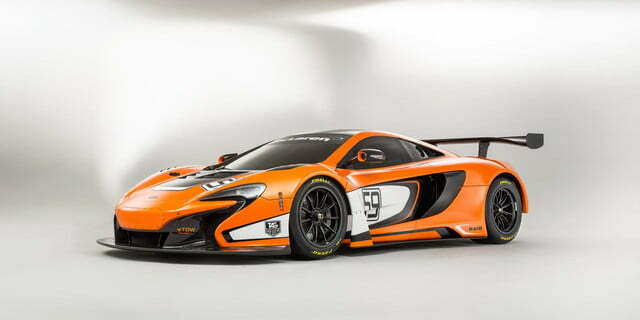 The 650S looks pretty good in racing warpaint, with a massive rear spoiler, front splitter, and other aerodynamics enhancements added to improve performance. 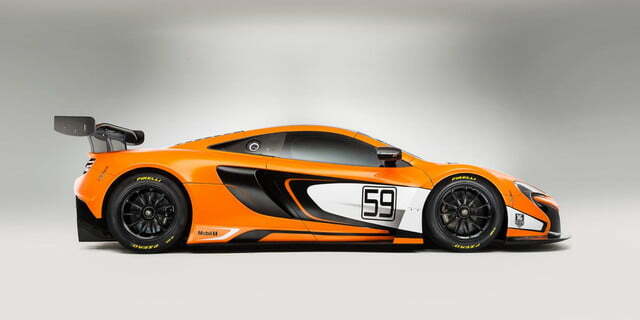 The car unveiled at Goodwood also wears the number 59, the number of the McLaren F1 GTR that won the 24 Hours of Le Mans in 1995. 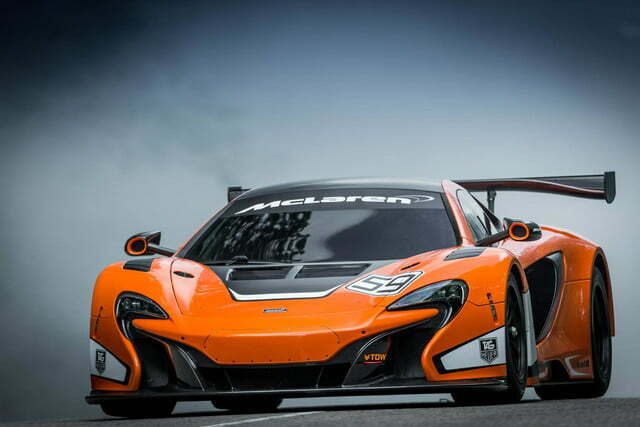 Under the skin is a race-prepped version of the 3.8-liter twin-turbocharged V8 from the stock 650S. 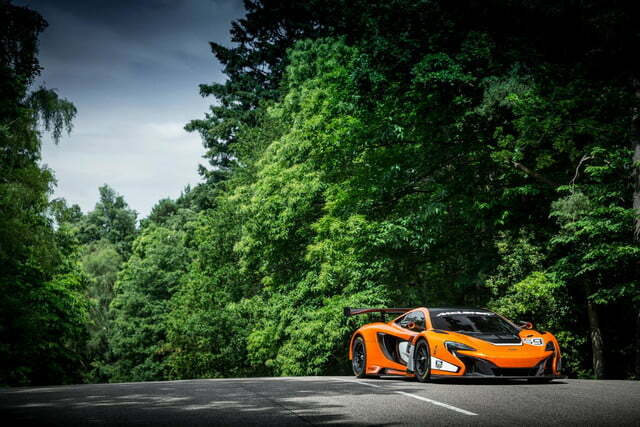 It produces the same 493 horsepower as in the 12C GT3, and is connected to a six-speed sequential transmission with pneumatically-actuated paddle shifters. 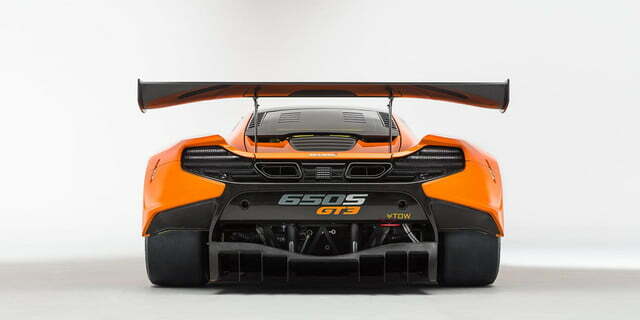 A revised suspension system with a wider track than the 12C GT3’s and upgraded brakes help the 650S GT3 corner and stop like the race car it is. 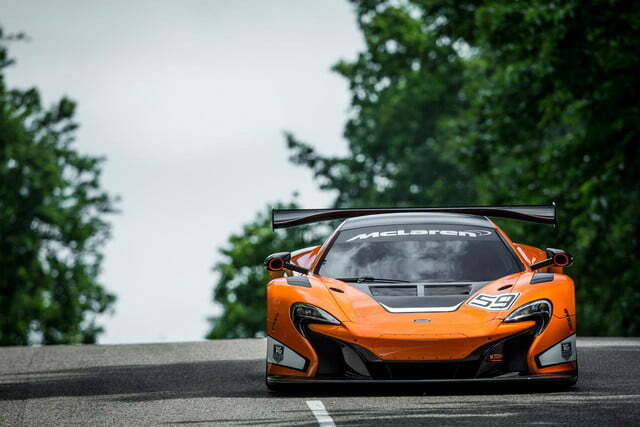 The stock 650S’ interior luxuries are stripped out to save weight and make room for an FIA-spec roll cage. 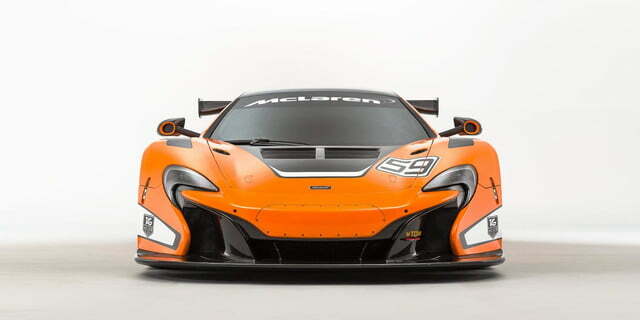 The seat is bolted to the floor, instead the steering column and pedals move to make the driver comfortable. 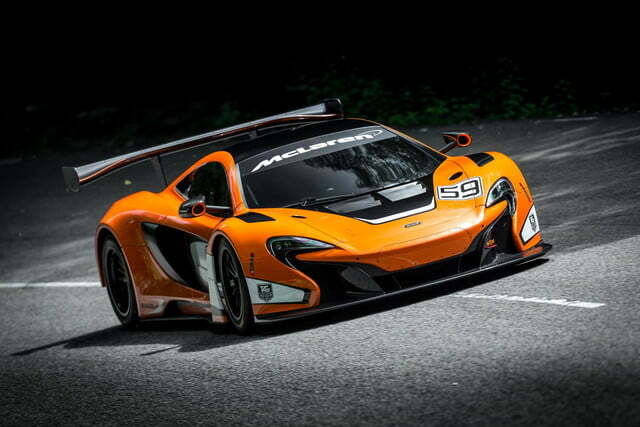 The wheel itself is inspired by the one used n the McLaren Mercedes Formula 1 car, the company says, and beyond it sits a digital dashboard. 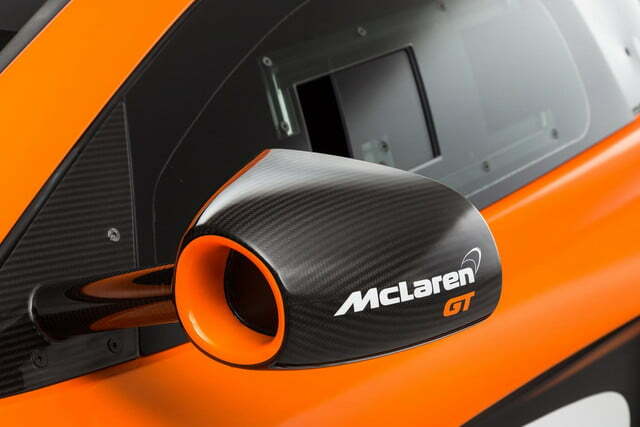 “Refinement” isn’t a term normally associated with race cars, but McLaren says it’s added a bit of that to the GT3 by making the controls more ergonomic, and increasing ventilation and cooling for the driver. 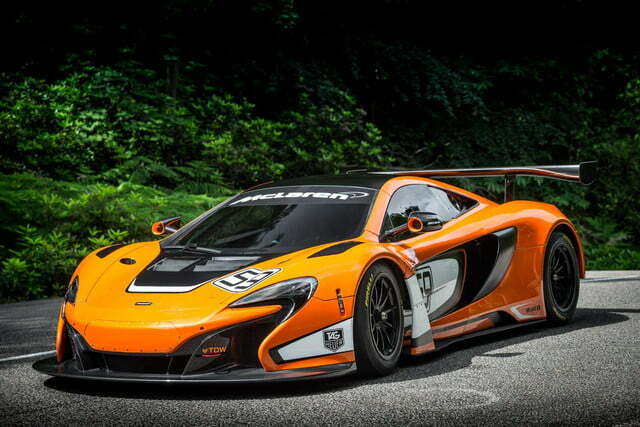 McLaren plans to build 15 cars for the start of the 2015 season, with a base price of 330,000 pounds (about $561,000 at current exchange rates) each. 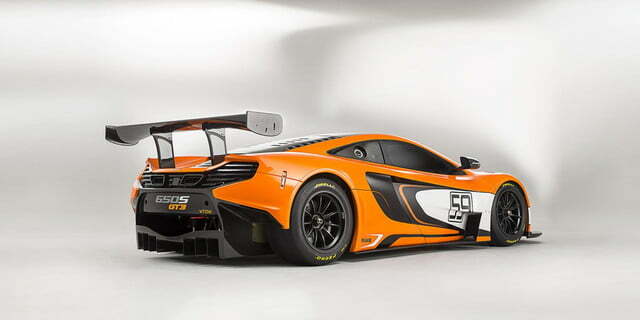 However, 12C GT3 owners can upgrade their cars to 650S spec, since the two models already share a chassis and many parts.